Boot camp again tonight. 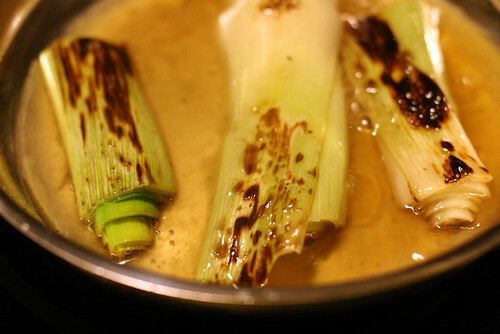 And so I kind of ate two lunches at work, but still made dinner later: Campbell's tomato soup, and some leeks braised in vermouth. 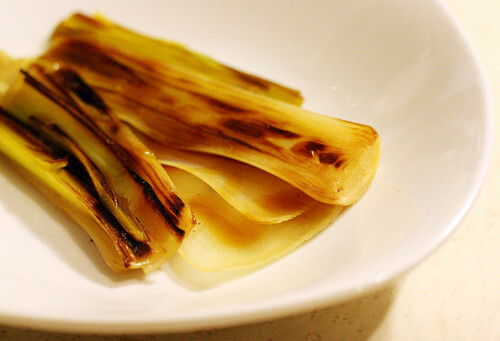 The leeks are loosely based on a recipe from Cooking from the Garden. I seared them, simmered them in some vermouth and vegetable stock, removed them from the pan, reduced the liquid to a glaze and poured it over them.